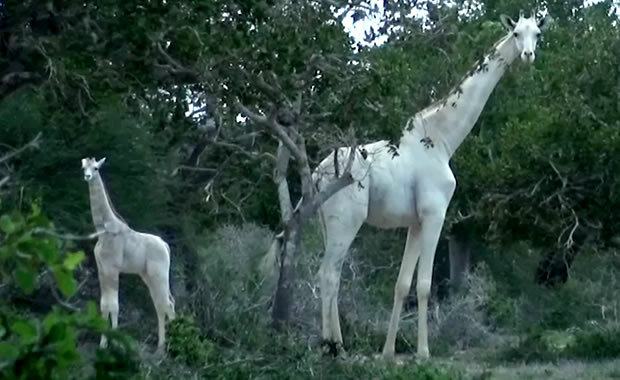 The pair of white giraffes were a mother and her young child who both possess a genetic defect called "leucism". Similar to albinos, creatures with leucism are hindered from getting proper pigmentation in their skin cells. But unlike albino creatures, they continue to produce dark pigment in their soft tissue. Only parts of their bodies may be white, and their eyes can be dark in color.